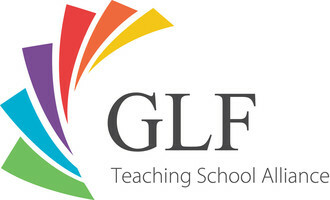 The GLF Teaching School Alliance is the professional development centre for GLF Schools. In conjunction with GLF Schools Central Education Team, our talented team of Teaching School leaders provide high-quality Initial Teacher Training, School to School Support and Professional Development opportunities to all GLF Schools and our Alliance Partners. Our Teaching School Alliance is a superb way to share best practice that leads to effective system wide improvement through school to school collaboration. Our highly practical training and support programmes are available to all schools and academies, not just to GLF Schools staff. Our Chief Executive, Jon Chaloner, is a National Leader of Education. As an Ofsted ‘Outstanding’ Secondary school and National Support School Glyn School has been designated by the DfE as a National Teaching School. GLF Schools has a proven track record of school improvement, raising standards and adding value to the provision offered by a school. Please see our individual school webpages to find out more about our 'Outstanding' and 'Good' features.